Robert the Bruce was one of Scotland’s national heroes, a warrior who successfully fought for Scottish independence. Ultimately it wasn’t battle that killed Robert the Bruce, but a disease today believed to be leprosy. He died in 1329, just one month shy of his 55th birthday. After the king’s death his body and his organs were buried separately from each other, as was customary for monarchs at that time. His guts were buried where he died in Cardross, as the body was easier to embalm without them. His corpse went to Dunfermline Abbey with a massive funeral procession of knights in black robes, but not before his heart had been removed and embalmed separately. 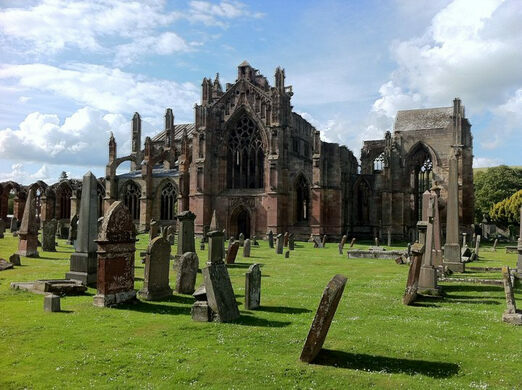 Robert had requested that his heart be taken on a tour of the Holy Land and presented before God at Jerusalem’s Church of the Holy Sepulchre before ultimately being buried at Melrose Abbey in Roxburghshire. The heart was given to Sir James Douglas in a metal urn to be worn on a necklace. However before Douglas and his company of knights could undertake the heart’s holy tour, they were called to fight against the Moors attempting to take Spain—the heart went along with. Sir James Douglas was killed in a surprise attack, but before the confronting his attackers he is said to have thrown the heart urn ahead of him and shouted, “Lead on brave heart, I’ll follow thee.” Robert the Bruce’s heart was carried along with Douglas’ remains back to Scotland. 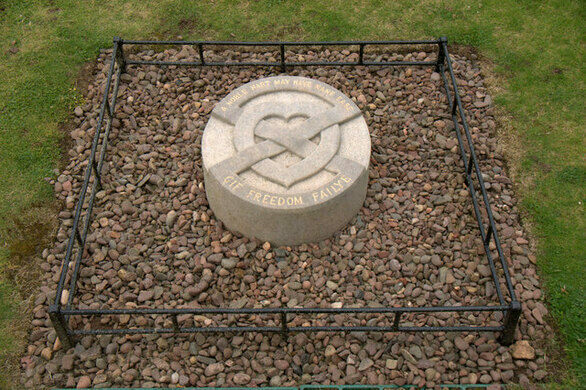 The heart was buried along with Douglas near Melrose Abbey. In 1920 it was exhumed, and then buried again without a marker. In 1996 during excavations of the abbey ruins the urn was discovered and confirmed to hold the heart of Robert the Bruce. 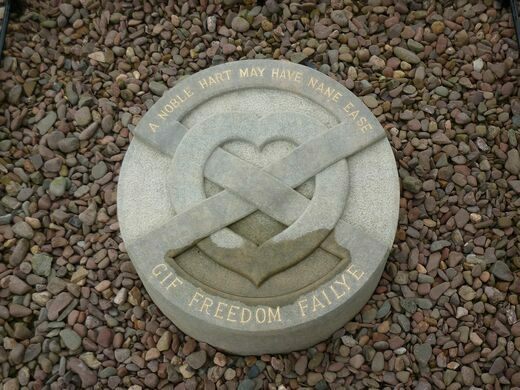 His heart was finally interred within Melrose Abbey, almost 700 years after he had initially requested it. When you're heading to Dunfermline to see the Abbey, take a detour to the small village of Culross. The TV show 'Outlander' is filmed there. 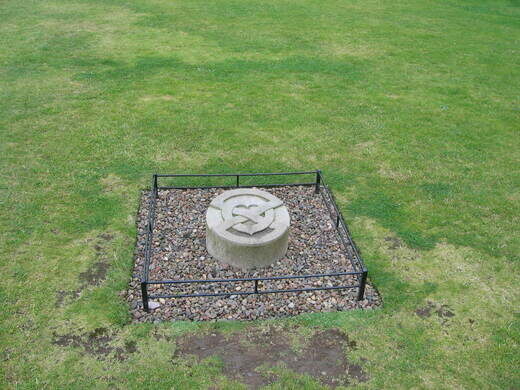 This is where Cranesmuir was set and the yellow palace is where Claire's herb garden is located. Because the heart is located in the Abbey, you will have to pay an admission (£6). Also, the Abbey does have hours of operation so be sure you don't get there later than 4 or 5 p.m. depending on the season. This picturesque view of the Scottish Borders was beloved by Sir Walter Scott. A small literary museum remembers the life and works of the author of The Thirty-Nine Steps.